On the February 2010 “Expocenter” Central exhibition complex, which is the main exhibition area of Russia on the Krasnaya Presnya street, has been opened for the visitors of the ProdExpo 2010, the 17th International Exhibition of foodstuffs, beverages and raw materials for their production. This annual food forum is the significant event for the leading manufacturers of foodstuffs from Russia, CIS countries and countries of East Europe. 2000 participants from 57 counties presented the best samples of their products, latest developments and technologies, which occupied more than 80 000 sq. m.
At the present time all markets of participating countries are dynamic developing markets. These markets have high competition, business activity and favorable investment climate.ProdExpo_2 These trends assist to representatives of global food industry not only to expand the sale market, but first of all, to create recognizable brands of their products, which can meet the highest global standards. 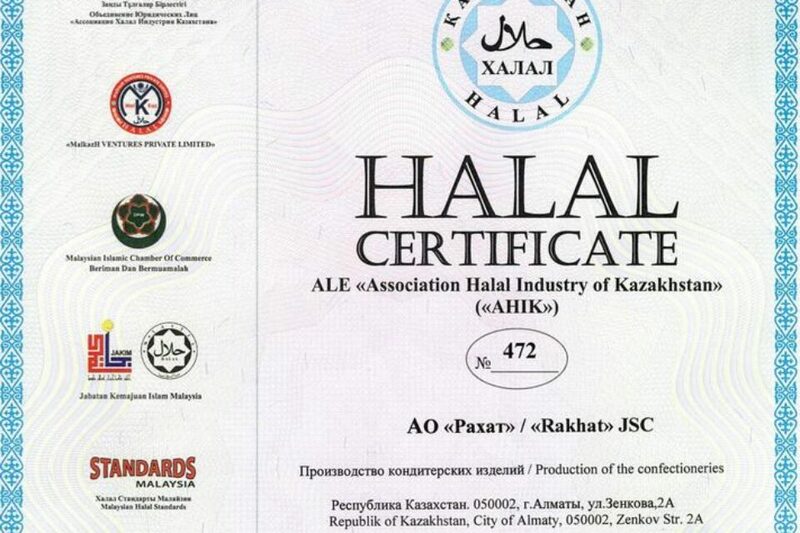 Taking into account the topicality of the solution of these issues for our company, the “Rakhat” JSC for the first time participated on the ProdExpo 2010 exhibition. 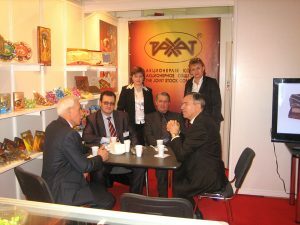 Various assortments of our confectioneries were presented to visitors of exhibition. 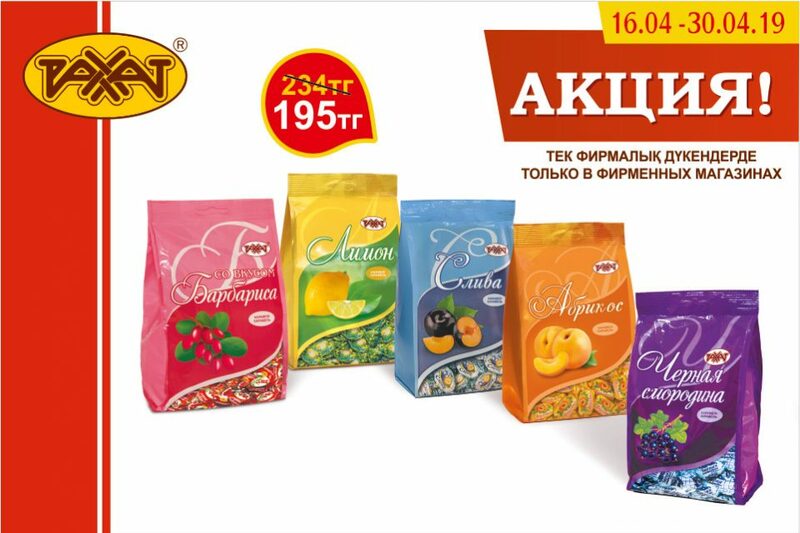 Specialists were interested in contents and technological solutions of the confectionery production of “Rakhat” JSC, consumers and trade representatives appreciated the high taste quality of bitter and milky chocolate, of chocolate candies with the great variety of fillings and caramels with new taste. 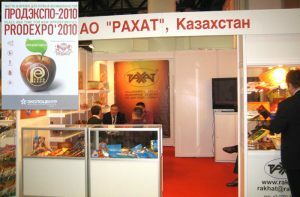 ProdExpo_3 Souvenir products, exceptional design solutions of packing and national symbolism attracted the great interest. 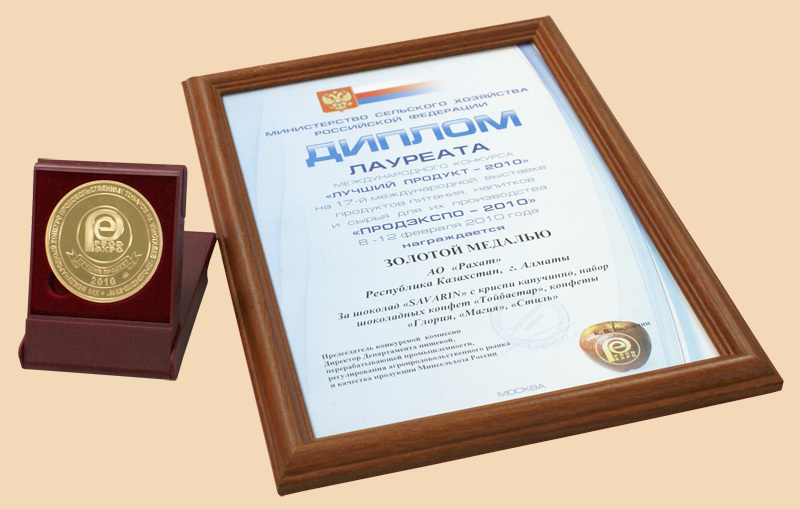 “Rakhat” JSC participated on the “Best Product 2010” competition, which has been held in the framework of exhibition. Five types of confectioneries were presented to expert commission. 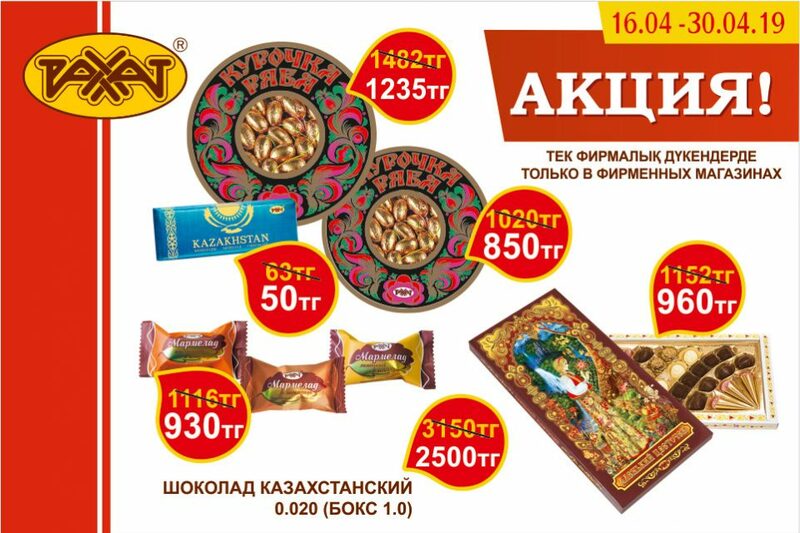 And all of them – “Toybastar” set of chocolate candies, «SAVARIN» slab chocolate with the crispy cappuccino, “Glory”, “Magiya”, “Style” candies – were awarded with the gold medal of competition. 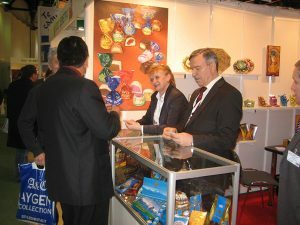 Persuasive demonstration of our opportunities and our competence in the issues of production of high-quality confectioneries in the personal contacts with the representatives of wholesale and retail firms, with the specialists of food industry initiated the basis to perspective mutually beneficial cooperation with the great number of Russian companies.